ECM is a jazz-based crossover label founded by Manfred Eicher in 1969. Each ECM album is a fully realized work of art: they are borne from a unique rapport with musicians, recorded in the highest quality, and faced with album covers that are artworks in their own right. 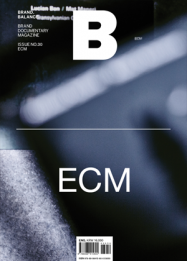 amid the rise of digital music, ECM has maintained its core philosophies by focusing on richness of sound and the appreciation of music within the structure of albums.